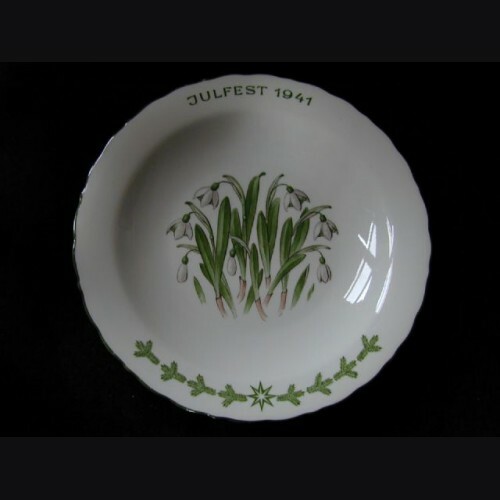 Oswald Pohl Allach Julfest soup plate. 10 1/2" in diameter with floral transfer decor in the center, with a runic pattern and star around the rim. Reverse has presentation inscription and Allach ss runic mark in light blue. Excellent condition. Note: There is what I would call a small undetectable repair to a small chip on the underside rim that I did actually detect. Most would not and its not showing nor is it glowing under a light, really well done.